Not much, is the answer to the question in the headline. That said, let’s quickly recap what this thing is about and a quick history on a company you’ve never heard of before -TAMO. If you live in India, you’ve undoubtedly heard the automotive brand called Tata Motors. They’re a massive company, part of an even bigger business conglomerate. Tata, in the automotive sector, is better liked for its range of commercial vehicles and passenger vehicles used as taxis. They make passenger cars for personal use too, but until last year, not very good ones. It is the same company that grabbed headlines worldwide with the ‘cheapest production car in the world’, the Tata Nano. A hopeful idea, impossible to sustain but nonetheless it had some impact. Tata Motors is also the brand that bought out Jaguar Land Rover a few years ago, so they do have the pedigree for brilliant cars under their ownership. At the Geneva Motor Show, they’ve finally unveiled a sports car they’ve been working on for some time now. Quite obviously, they knew it would be futile to make it appealing with the Tata Motors badging, so, they set up TAMO. A special sister company, for the niche projects which are aspirational and future-focussed. And under TAMO, this is the first car they’ve produced – the RaceMo. 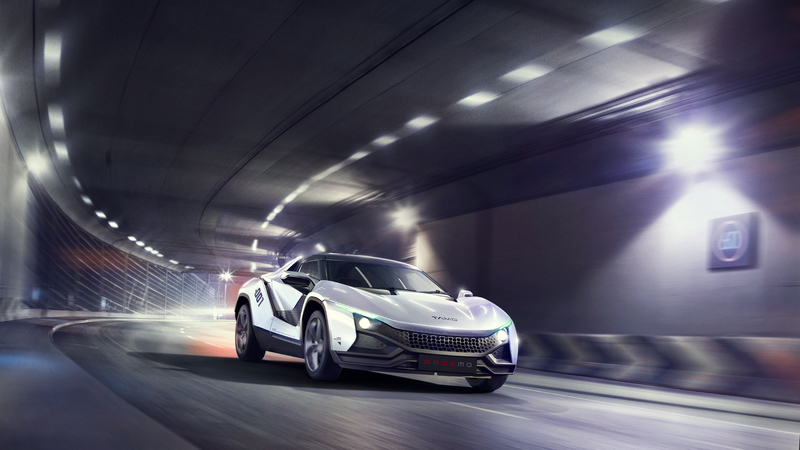 The RaceMo is a mid-engined, low-slung, small sports coupe that looks like it came from the guys who designed vehicles for the Ridge Racer video games. So it looks good. But when you start going through the specs they’ve revealed so far, you’ll be scratching your head for sure. It’s got a tiny 1.2-litre turbocharged four-cylinder engine that has a max output of 187bhp and 210Nm of torque. It gets worse. They’ve paired the engine with a 6-speed AMT. What idiot thought that was a good idea for a small, underpowered sports car?! On the inside, things look better. 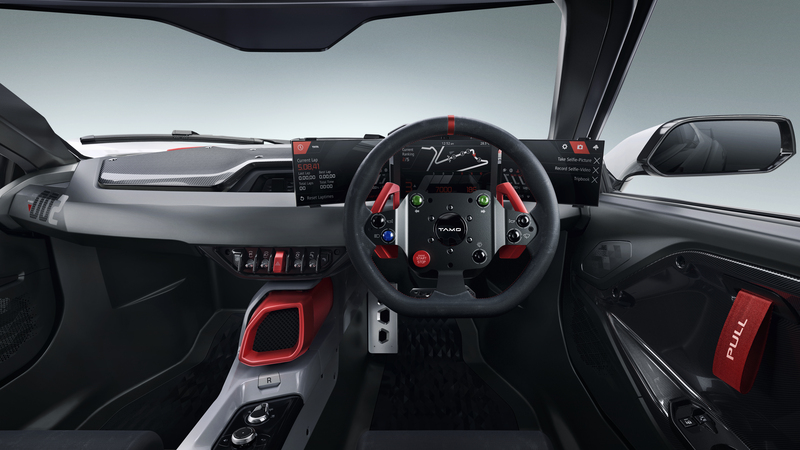 It’s got a sporty steering wheel with a big red ignition button on it and red flapp+y gear paddles behind it. No infotainment controls on this steering wheel. 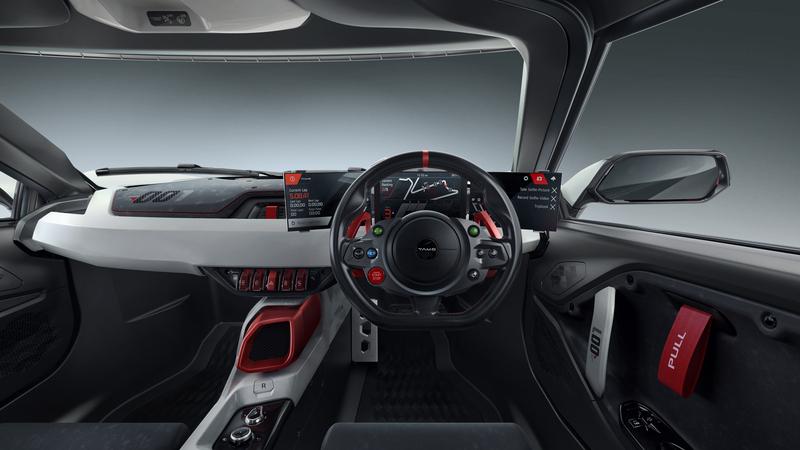 It has three touchscreen displays, relaying all manners of information to the driver. 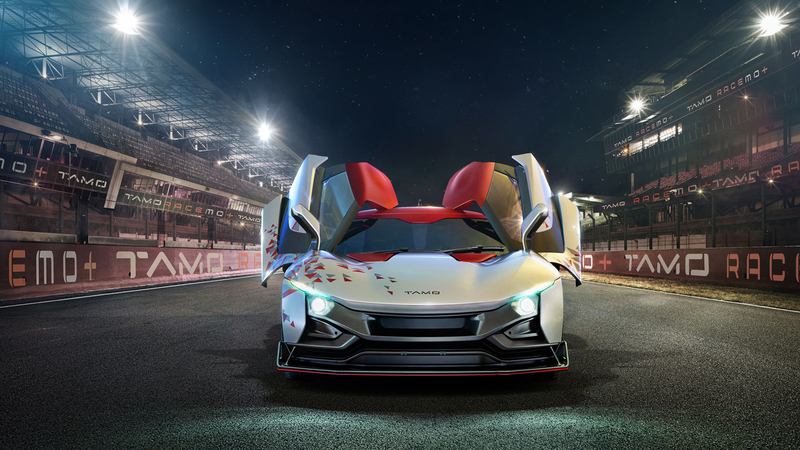 The TAMO RaceMo is also the group’s first ‘connected car’, powered by Microsoft and has IoT features. There are door straps instead of handles. 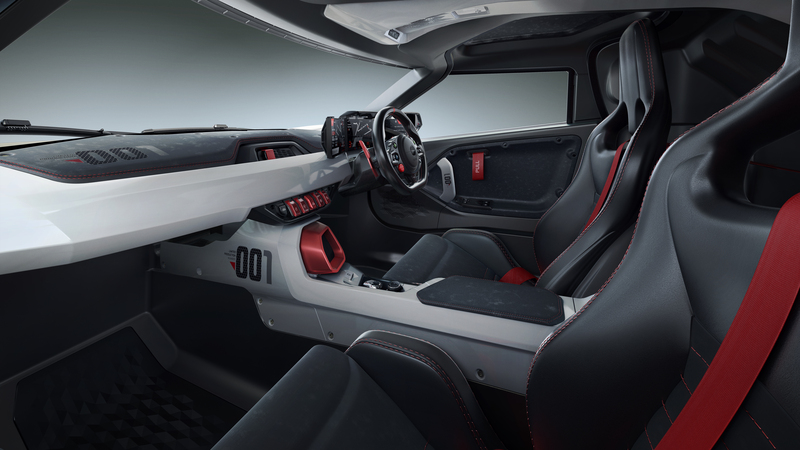 And while the figures look quite disappointing, this compact two-seater is expected to be quite light, and with interiors like these, it could be a fun car to drive. Anybody else thinking Lotus Exige? 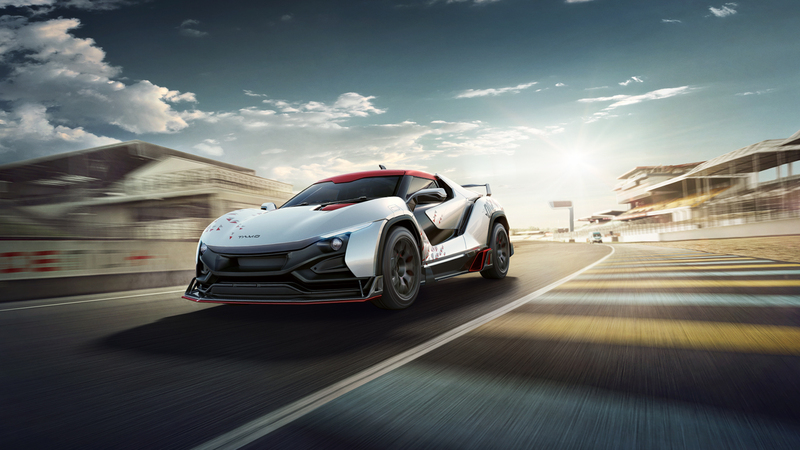 TAMO has built two variants – the road-friendly RaceMo and the track focussed RaceMo+ (does their naming department know some folks from Ferrari?) which sports a more aggressive body kit. It also gets a large rear spoiler and a pointy chin spoiler too. It also gets a different set of wheels and a slightly less furbished steering wheel. 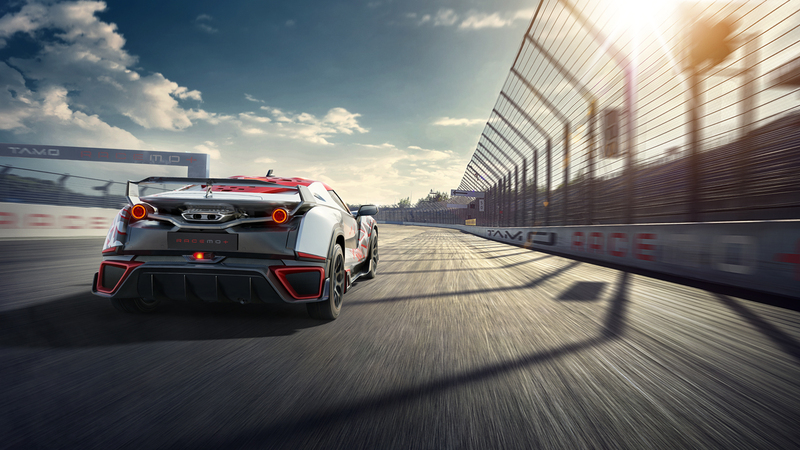 As a special treat, thanks to Tata’s tie-up with Microsoft, you can drive the RaceMo+ in the Forza Horizon 3 video game. Other differentiating details between the two variants are yet to be revealed. It’s the first car to be built on Tata Motors’ new modular platform called MoFlex, which will help the company develop and offer a range of new models in a relatively short amount of time. The RaceMo itself doesn’t look far from being production ready itself and should be available for sale early next year. They’re only making a limited bunch so best guess, they’ll be sold out quite soon after launch. If you’re wondering who would pay Tata sports car kind of money for something like this, you’d be right to call those people deluded. 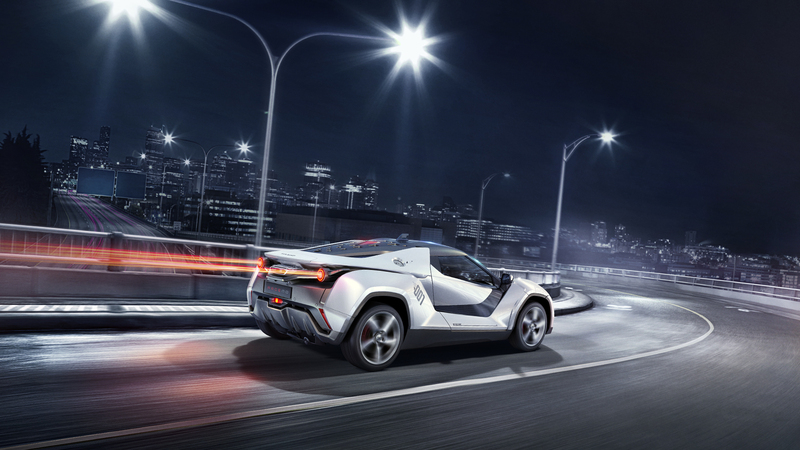 But then here’s the only really special thing about the TAMO RaceMo – Expected price? Less than INR 25 lakhs.